Cotton jersey is paired with nylon to play with tonal colour shading. 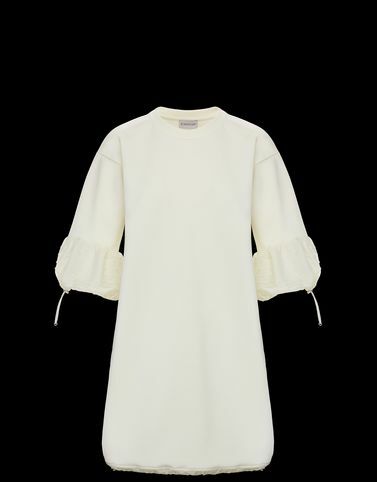 This French terry mini dress starts as a discreet exercise in femininity, but vigorously erupts with the puffed sleeves that create unexpected proportions. A further demonstration of the infinite ways to reinterpret classics, to which Moncler has always been committed.